A highly regarded and much sought after sloop-rigged cruiser renowned for speed, cruising comfort and light wind performance. 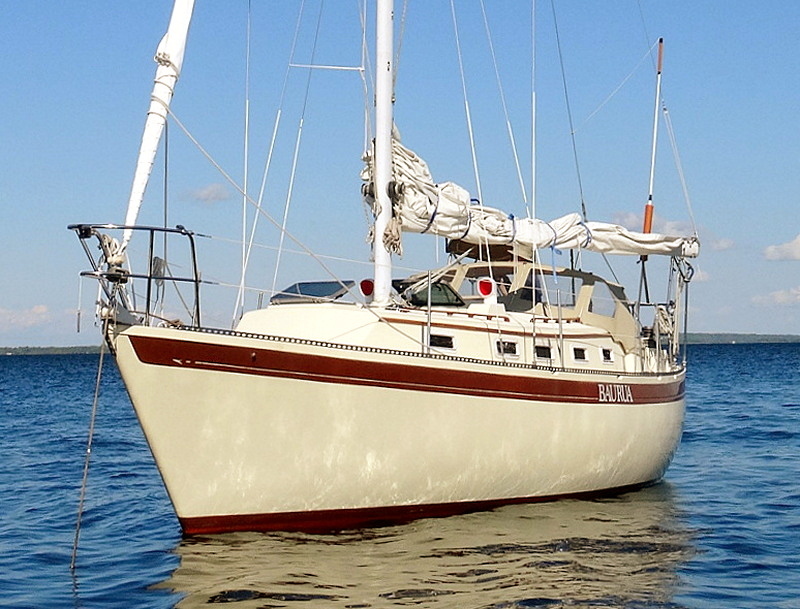 Designed by Ted Brewer and Robert Walstrom, the Aloha 34 was built in Whitby, Ontario until the late 1980's. It was designed to be fast enough for fun in local club races but the accommodations kept the cruising family in mind. The 11' 2" beam allows plenty of room below decks for comfortable living space, and 10 opening ports and 2 hatches provide great ventilation. In 2004, Baurua was updated with a new 29hp Volvo diesel and sail drive with folding propeller. Many additional upgrades have been made over the years, most recently new bottom paint and a new genoa. She's in excellent condition and fully fitted-out for Great Lakes Cruising - a must see for anyone interested in a time-tested classic. A 2016 survey is available upon enquiry.